The impact of such numbers is overwhelming on the host communities. Turkey now hosts the largest number of Syrian refugees in the world, and in Lebanon, a country with the highest number of refugees per capita, one in every four people is now a refugee. In Jordan it is one in five. It is important to understand that at present, an estimated 90% of the Syrian refugees are not in refugee camps but are surviving in host communities, taking them to breaking point. There are enormous pressures - for both refugees and host community populations - on shelter, food, water, fuel, education and health services, formal and informal sector employment. All Generations For Peace activities are led by volunteer leaders of youth, passionate about addressing local issues of conflict and violence in their own communities, and powering a cascading model for youth-led change. Their role as change-makers in society is crucial and is especially important as a resource in communities facing extreme challenges. With mentoring and support from Generations For Peace, these youth leaders gain real experience of "life skills" and an opportunity to demonstrate their leadership and responsibility to contribute positively to their community, to measure the impact, and to feel the satisfaction of concrete progress which makes a difference in people's daily lives. It is this combination of the unique power of sport to engage child and youth, with the deep commitment and local knowledge of youth volunteers, which makes these interventions most effective in communities. As Ahmad Al Omoush, a Jordanian Generations For Peace volunteer, explained about the Sport For Peace approach: "It is very non-traditional, the opposite of lecturing. In a program with sport you observe practical results. I saw it as an idea that could serve my community; the community in which I live, that my family lives in and that my children will live in the future." "Before the program I did not fully accept the Syrian people; if I saw someone I would say hello or bye but not more than this! But when I integrated with them in the program and through the activities - standing beside the Syrian participants during the activities - I noticed that there is no difference between us. Now, I am a friend to all of them" (Jordanian male youth participant). "The [Syrian and Jordanian] girls were surprised because they had been in the same class in school, in the same school, but they had never spoken together. They had never talked, even in the same neighborhood. Now we are still seeing them speaking together, walking together, the 16- and 17- year old ones. Doesn't matter what nationality they are" (Jordanian female volunteer). "The cooperation between the Syrians and the Jordanians, and the acceptance that happened between each other, especially in the sport activities - the speaking and conversation that happened among this group was great, they started to speak with other classmates, breaking the barriers of fear" (Jordanian school teacher). Today, on the International Day of Sport for Development and Peace, we recognize the unique role sport can play in strengthening resilience and social cohesion in the world's most fragile communities. 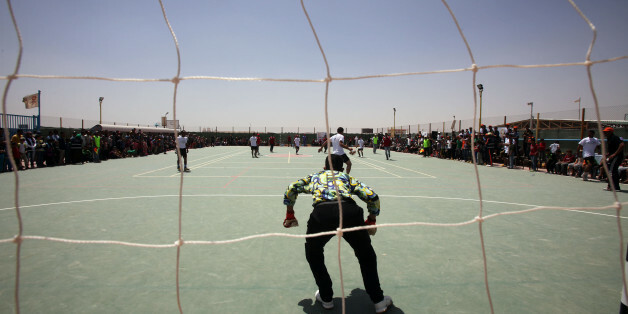 As Jacques Rogge, the United Nation Secretary General's Special Envoy for Youth Refugees and Sport, and former President of the International Olympic Committee, said on his visit to Generations For Peace in Jordan: "Sport has the power to reach many people across the globe, and in essence, is a language understood by everyone. Sport can inspire peace and foster understanding and dialogue. Sport is a magnet for young people that can instill hope and be used to teach positive values and valuable life lessons." 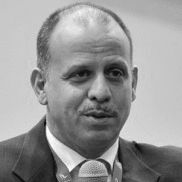 HRH Prince Feisal Al Hussein of Jordan is the Founder and Chairman of Generations For Peace, the global nonprofit peacebuilding organization that uses sport, arts, advocacy, dialogue and empowerment activities as conflict transformation tools in communities affected by conflict and violence. He is also the President of the Jordan Olympic Committee and a Member of the International Olympic Committee. Generations For Peace is ranked #32 in the Top 500 NGOs in the World by Global Geneva.